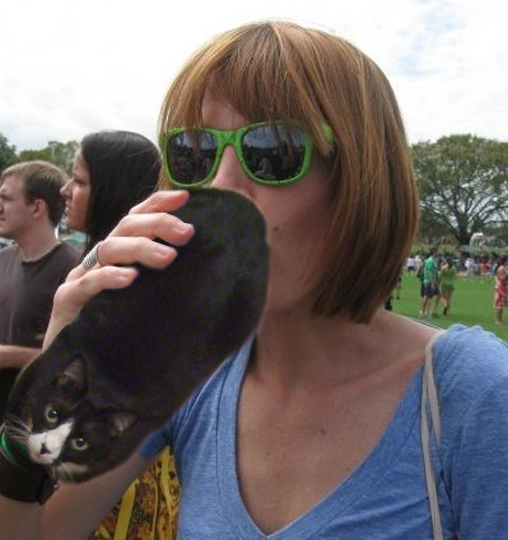 The human in this photo is my friend Lisa, and the Boozecat is named Olli and he belongs to my friend Alex. Lisa has decided to take Olli out to the park for some fun in the sun. I bet there is a BBQ in the vicinity. I can smell it from here and it makes me miss the summer. gives a whole new meaning to “the cat’s meow,” if you ask me.